Not me or my baby! a) Things will get better than they are now. You’ll hit a breakthrough in your milk production, and you’ll be able to successfully breastfeed. b) You will realize you have tried the very best you could try to breastfeed. You gave it your all. But you just couldn’t make it work. And that is OK. I was in the “b” camp with my son, Luke. Here is our story. 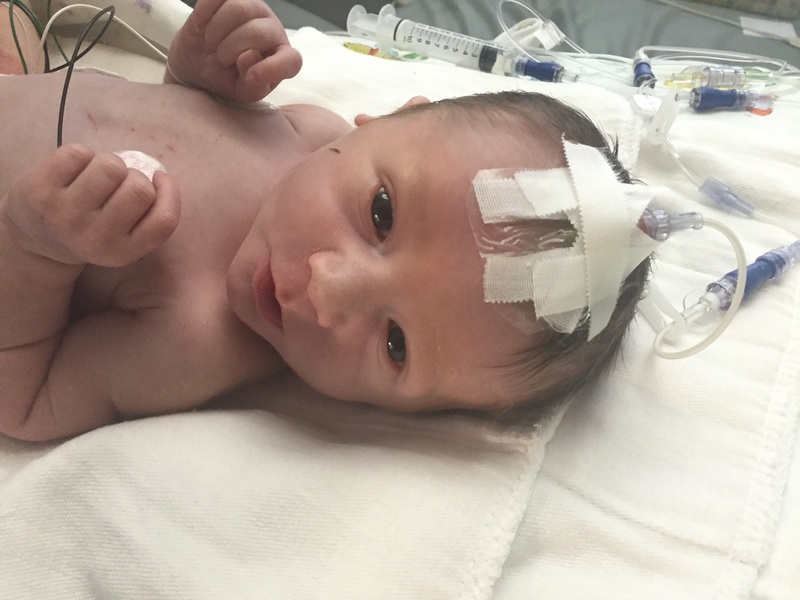 NICU Luke… oh, what a different child he is now! 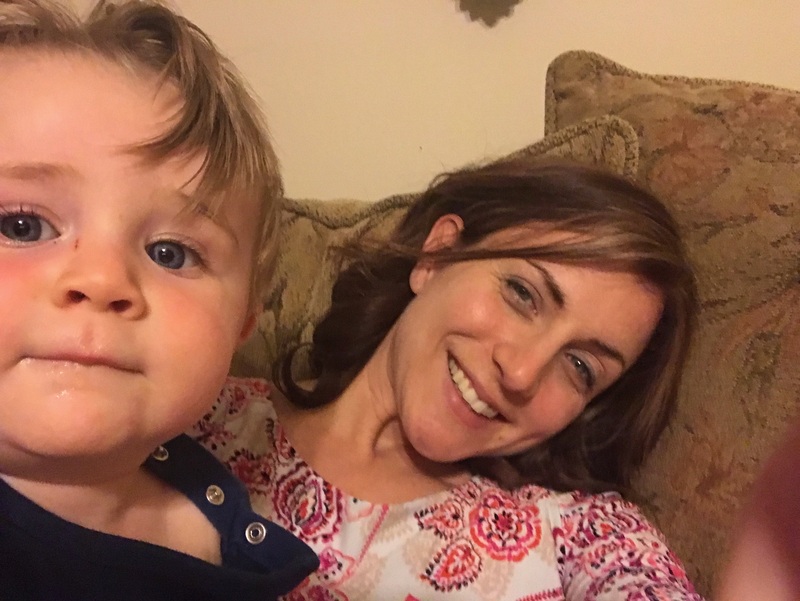 Luke and I got off to a rocky start with breastfeeding because he was immediately whisked off to the NICU after birth due to a kidney tract problem he was born with that we knew about going into delivery. Traditionally, it is hard for NICU babies and moms to breastfeed, because the babies are hooked up to tubes and wires at all times, because the babies may not be functioning as well as babies without health issues, and because they aren’t staying in the same room as each other 24/7. I found it nearly impossible to figure out the “latch on” thing when my baby had something attached to his head, foot, and arm — which was all the time his first 8 days of life! As a first-time mom, I was nervous enough just holding a 7-pound, delicate baby. Top that off with a baby attached to life-monitoring wires, and I was a nervous wreck. This was the first time he drank milk I produced! (from pumping). I was so excited! While we were in the hospital, I expressed my issues to two different lactation consultants. I did everything I was supposed to do. I pumped non-stop. I drank special Mothers Milk tea. I ate cookies a friend made me that were supposed to promote breastfeeding. Still, at the end of Luke’s 8-day NICU stay, I was barely producing any milk. Of course, the hospital had to begin to supplement him once he lost more than 1 pound of his birth weight. Once we went home, I thought I would get the hang of breastfeeding. I consulted two more lactation consultants and did literally everything I read about or was recommended. I took every natural pill and drank every tea that could help with lactation. After 6 weeks of pumping 6-7 times a day and trying to feed Luke 8-9 times a day, I was still only producing 1/3 of the milk he needed, according to measurements a lactation specialist took. This entire process was so unbelievably frustrating to me. Looking back 1 year later, I can think of few things in my life that have been more frustrating than attempting to breastfeed. I just wanted to be able to provide for my baby! And I could only 1/3 provide for my baby, even when I was trying twice as hard as I was supposed to! 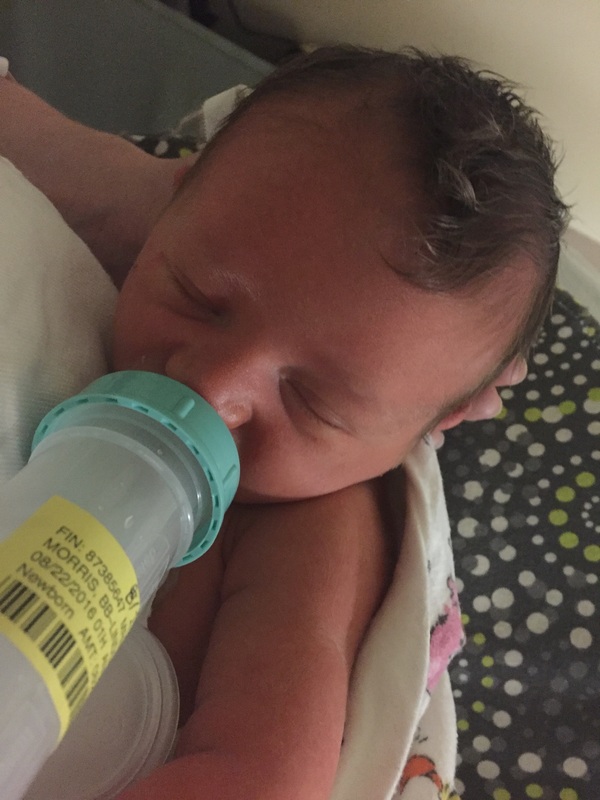 I felt like I was feeding (or trying to feed) two — my baby and the breast pump. And I was STILL having to use formula on top of that! It was sooo frustrating! When I went back to work after 8 weeks of maternity leave, I decided I would still attempt to pump and breastfeed as much as possible. During one of my first weeks back, I worked at an event where the only place I could pump was a restroom. Sorry if this is TMI, but I had no choice but to sit in a stall to pump. After that unfortunately unhygienic experience, I said enough is enough! I had tried my very best. I realized that my level of love for Luke was not determined by the amount of milk he got from me. I loved him sooo much, and he knew that. So if you’re in the process of trying to breastfeed, I encourage you to continue trying. Give it your best shot, but do not beat yourself up along the way. Give yourself grace. Do something nice for yourself today — take a bubble bath, eat an ice cream sundae. Consult multiple lactation consultants if you need to. They will be able to give you great advice. If and when you do stop breastfeeding, know that you and your baby will be OK. You will have an amazing bond no matter what, as long as you give him or her love. I’m not a child development specialist or a healthcare professional, but the one thing I’ve learned as a parent so far is that your child can sense your love. When you look into their sweet eyes, sing them to sleep, play with them, pray over them — whatever is you do to connect with your child — they will know that you love them. And they will know you tried your best. And God will know you tried your best. And with that in mind, dear mommy, you can rest assured. Previous Post Wait, Wasn’t I Supposed to Be a “Somebody” By Now? Jade, I am praying for God’s grace for you and that He will show you what is right for you and your baby! You’re doing amazing job!